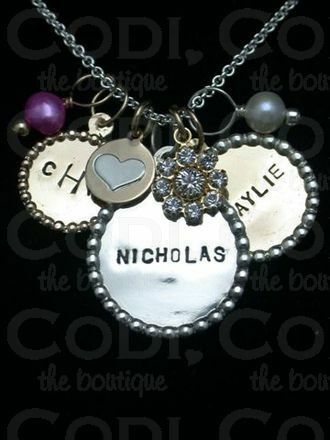 Custom hand-made name tags made of sterling silver and solid 14kt gold. 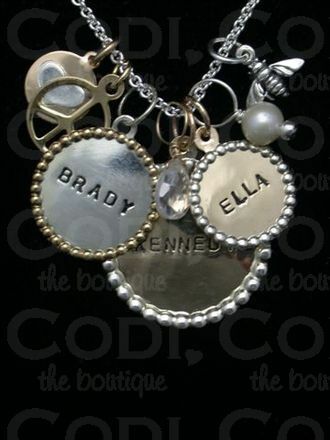 Perfect gifts for new moms, grandmothers, granddaughters, and big sisters! 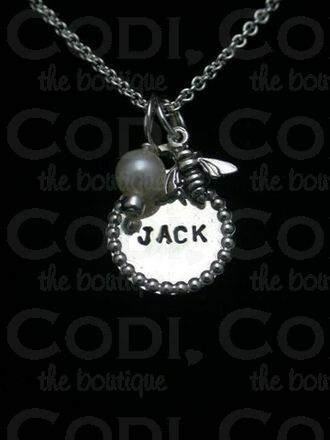 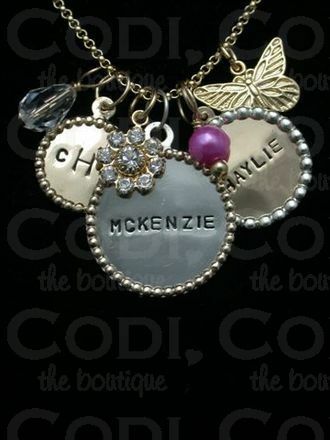 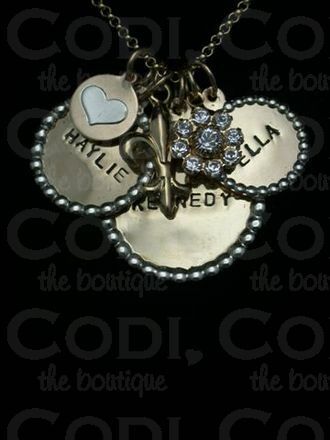 Each tag can be hand stamped or script engraved with a full name or monogram. 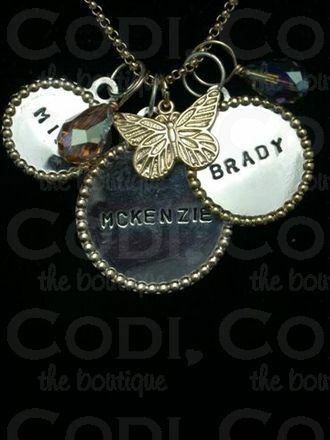 Please call the boutique to place your order at 314-692-CODI.